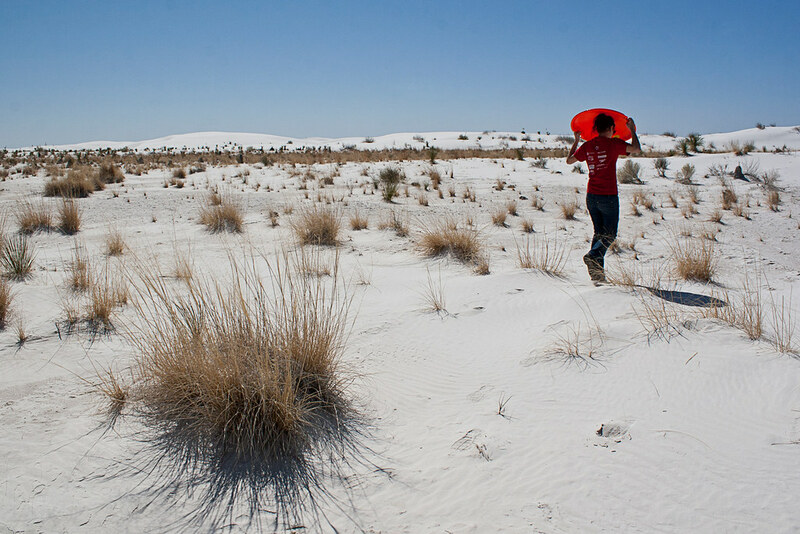 In the Southern New Mexico desert lies a 273-mile stretch of perfectly white gypsum sand dunes called White Sands National Monument. 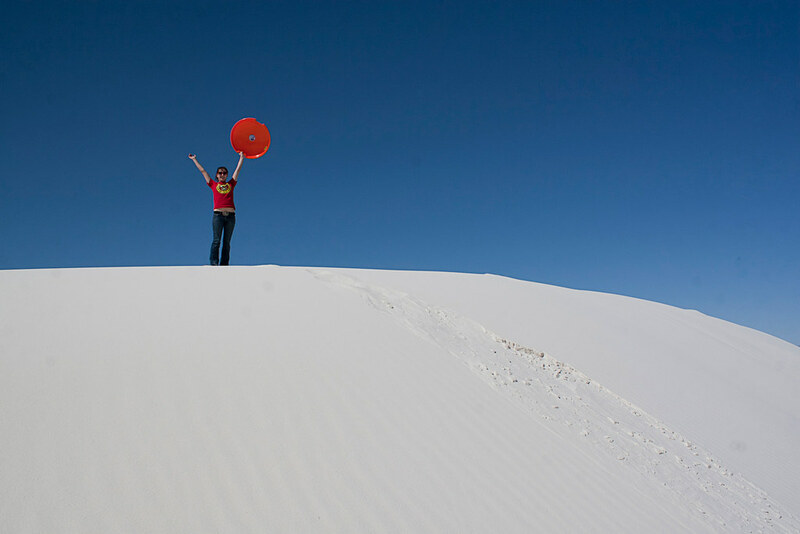 We bought a sled and hiked to the tallest and steepest dune we could find. Occasionally, we heard explosions not too far off in the distance. Apparently, the White Sands Missile Range is still active. After an afternoon of sledding, laying in the sun, and tossing the football around, we got back on the road and headed north to rejoin Route 66.